As I step out of the Zodiac and onto the rocky beach, I am acutely aware that over 1,000 years ago, a crew of Norsemen—loyally following their exiled leader, Erik the Red—stepped onto this very beach. I pause and look around at the beckoning green hills that stretch beyond the lower fields and wonder what fears they may have held tight in their hearts and what wonders they must have experienced as they decided to claim it as their new home. My own heart is full of wonder and awe that I have the opportunity to be here to learn. It is an unusually blue-sky, billowy cloud kind of day, but the glacier that sits at the head of the fjord, the rocky pitches on the horizon, and the chunks of ice floating in the waters are a reminder that Qassiarsuk, Greenland is a fierce place to survive. Currently, around 90 people, mostly sheep farmers, live here in the few houses splattered across the countryside. Across the fjord sits the Narsarsuaq Airport—the only international airport in southern Greenland, built in 1941 as a US airfield and military hospital during World War II. But what brings us here are the ruins of Brattahlid (“the steep slope”)—Erik the Red’s estate in the Viking Eastern Settlement. 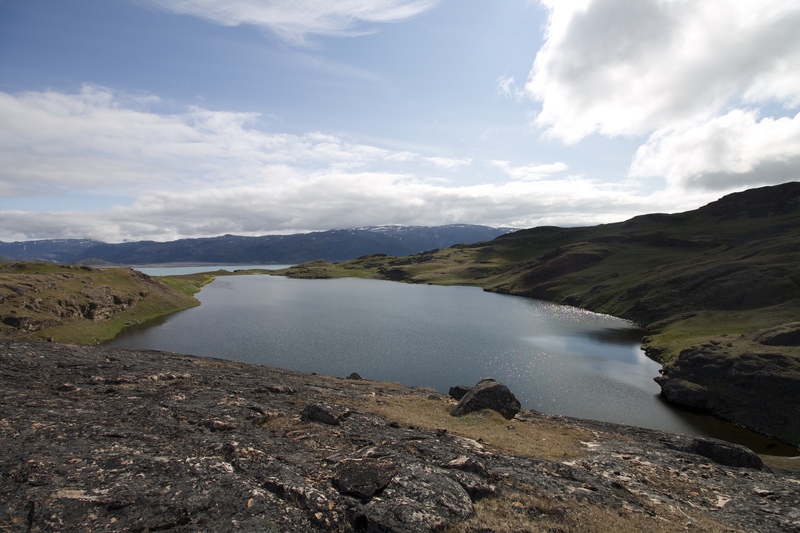 In 985 Erik arrived here, in the inner end of Eriksfjord, recognizing it as some of the best farmland in Greenland. It is here that he built his newly-converted wife, Thjodhild, a Christian church—the first Christian church on the North American continent. The first Greenlandic parliament was held here, and it is also where Leif Eriksson departed to go on to discover Newfoundland and Labrador. 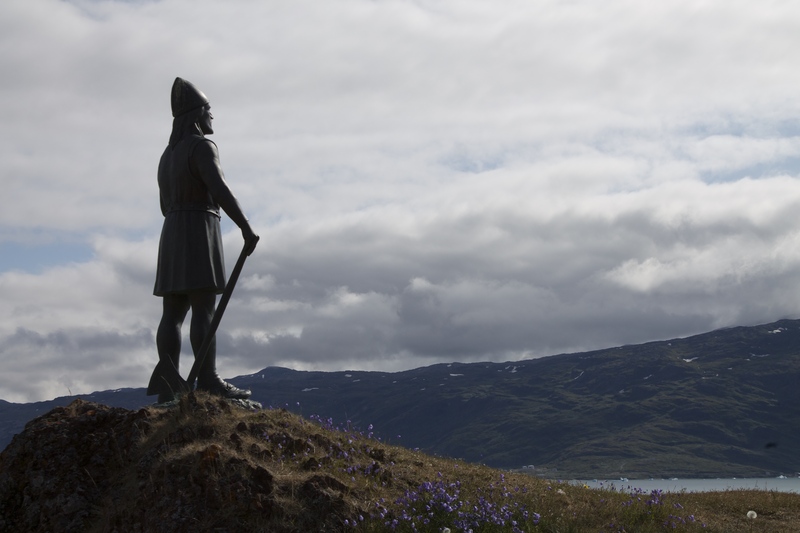 The Norse lived here for approximately the next 500 years, which is extraordinary when you consider the United States was not colonized 500 years ago. 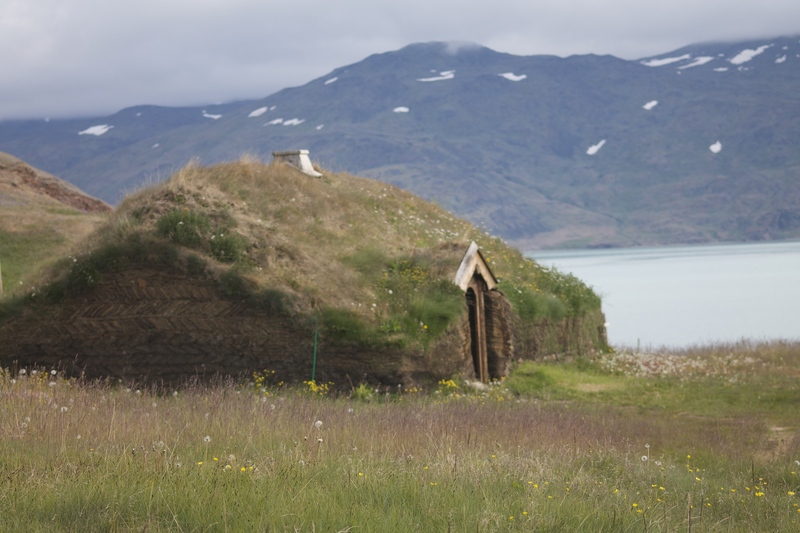 Recently, reconstructed versions of the longhouse that once existed on these lands and Thjoldhild’s church have been built, so that visitors can see what the actual ruins may have looked like when they were a thriving community. 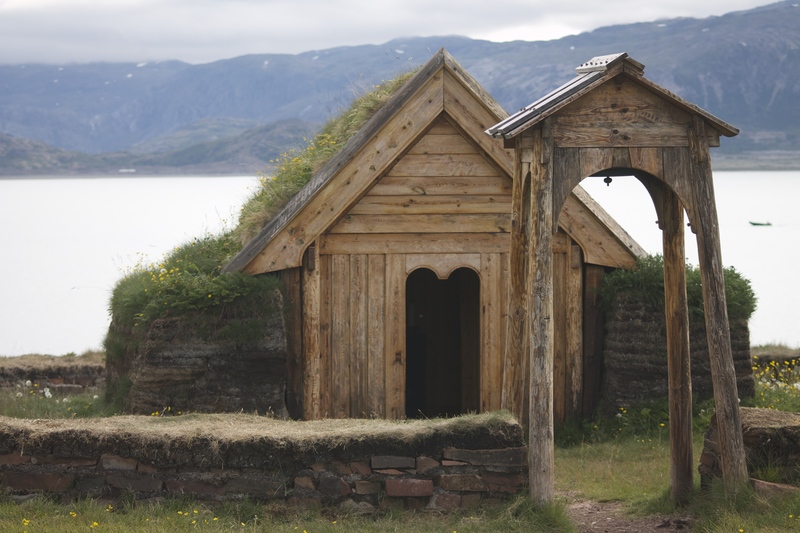 We admire the sod walls and duck into the tiny chapel that would have once housed 30 Norse for Christian worship. The longhouse is full of sealskins, a loom, and reproductions of clothing, an interesting and closeup look at life during this time. After passing a statue of Leif Eriksson that overlooks the fjord and climbing over a sheep fence, a colleague and I stretch our legs and see what lies beyond the town, losing ourselves for hours in the highlands. 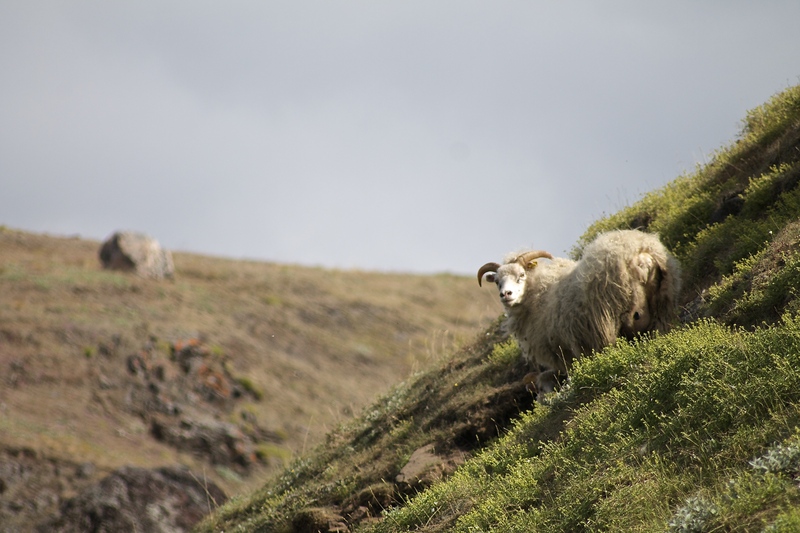 Mountain lakes, rushing rivers, small ponds, and sheep smatter the fertile landscape. The colors are all Kodachrome; the air crisp, clean, and still. Standing at the top of a hill in comfortable silence, I realize that this is the kind of professional development that will stay with me forever. I will remember the facts. I will understand the spirit of the Norse. I will know the climb of the gray mountains and the cerulean blue fjord. And this makes me wish I could bring my students here—I wish I could pull each and every one of them across the Atlantic, into this fjord, up this mountain, and have them stand in the very awe that I am experiencing. Of course, this is unfeasible. And I will have to settle into finding ways to deliver this magical experience to them, instead. But it makes me realize the importance of the oft-cut-in-the-school-budget field trip. My students cannot get to Green land. But back at home we have mountains and lakes, too. We have historical Revolutionary War sites in our back yard. We have museums, conservation areas, and islands filled with ghost stories. We all have magnificent ways to bring our students into their world, and we need to remember, just as I do, standing on top of a hill, that sometimes the best learning takes place when we leave school for a day. Wonderful! Thank you for sharing your experience! Lovely story! Thanks for sharing. Oh, please do! Thank you so much–for EVERYTHING.